This article is a review of KENNY. 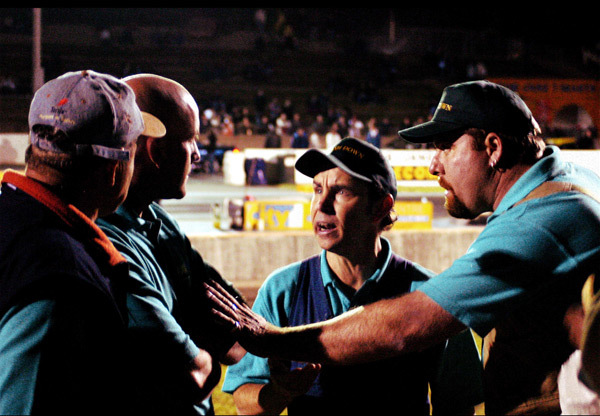 There are so many zinging one-liners and observations in this Australian comedy, but most would seem facile or puerile out of context, which the film certainly isn’t. It does open though with Stadtler Lewis’ statement, “None are less visible than those we decide not to see”, which gives a flavour of what we’re about to watch: not just humour, but a commentary on modern society, with the focus on those perceived by many as at the bottom. 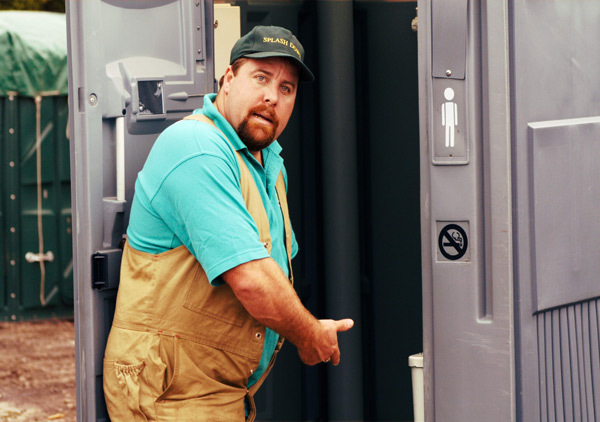 Shot in a faux-documentary style, like THE OFFICE or BEST IN SHOW, the titular Kenny (Shane Jacobson) is followed around by a camera-crew capturing the life of someone working in the public portaloo field. The idea seems like one of those BBC fly-on-the-wall programmes before EASTENDERS giving a face to airport workers and policemen (but here without a voice-over). 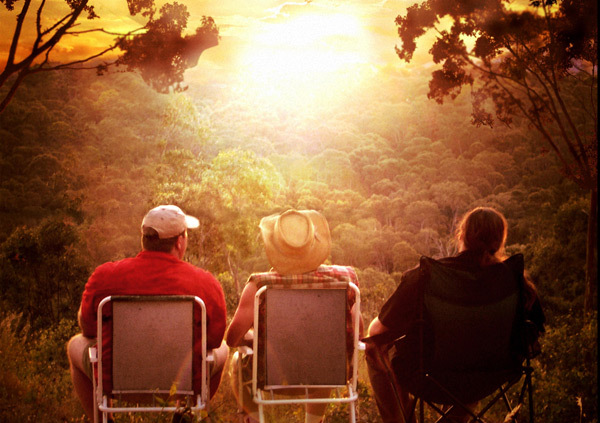 Kenny feels spontaneous and unrehearsed, which all films, let alone mockumentaries, should aspire. Jacobson seems to inhabit the character in the same method-like approach that Sacha Baron Cohen is reported to take as Ali G or Borat. He is a joy to watch. Not only does KENNY have a rat-a-tat gag rate, but there is an underlying pathos to the wit. The poignancy is highlighted on a second viewing. He is an Australian George Bailey (James Stewart in IT’S A WONDERFUL LIFE), someone who you wish exists in real life. He is kind, caring, humble and genuine. The film makes a point that everyone counts on this Earth, but without preaching and sentimentality. 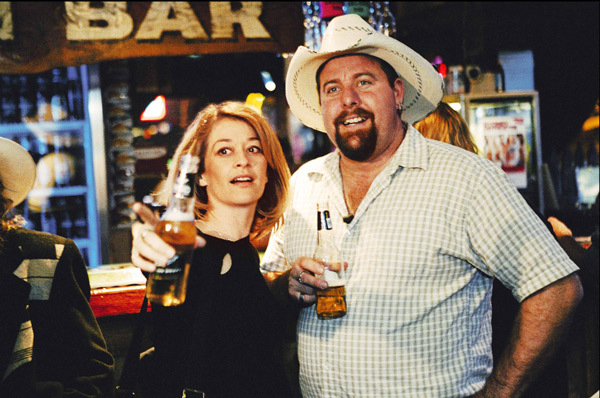 The DVD has a special feature, “Lifting the Lid”, a kind of mini-sequel as Kenny comes to Britain to promote the film, as well as the commentary track with Jacobson in character. An extra treat if you want more Kenny.